It was only a matter of time. I know this idea has been bouncing around my own head ever since the instant I saw a small LED projector. It has obviously been bouncing around Nikon’s collective head for much longer. 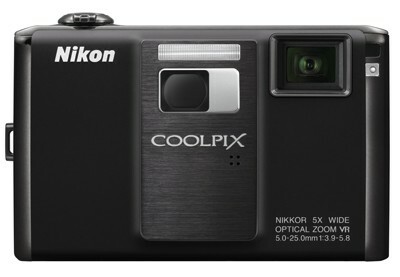 The Nikon Coolpix S1000pj shoves a projector into its point and shoot body to delivery still and video imagery on any flat surface at up to a 40″ diagonal size. Head over to Nikon Rumors’ Post for all the details. A detail I haven’t seen covered… will the camera allow you to project and shoot new pictures at the same time? When I first thought about putting a projector into a camera, I instantly thought about the possibilities it could open up for creating a new type of double exposure image. I’d love to take portraits where I’m projecting images from the subject’s surroundings onto the face. I imagine that the power drain and UI implications of this type of dual functionality are a bit much to bite off for the first camera to come to market with a built-in projector, but I hope it may be a functionality that’s unlocked in future models.